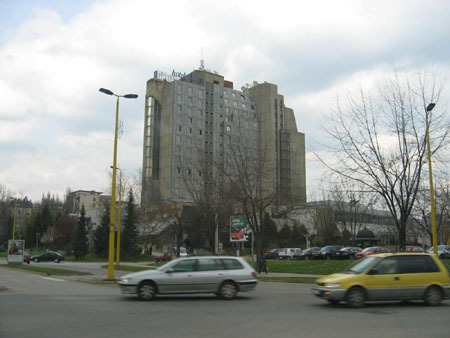 Tuzla was the last city after after Sarajevo, Mostar, Split and Zagreb. 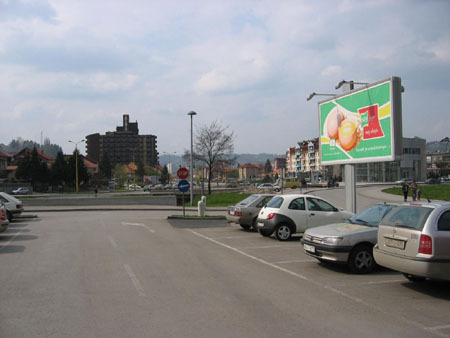 From Sarajevo we drove to Tuzla, the last major city we visited. The weather finally improved and the road towards Tuzla was quiet so we arrived around 13.00. It took less than 1 1/2 hour, we only had to stop because Yde did not feel too well after all the hairpins we took. 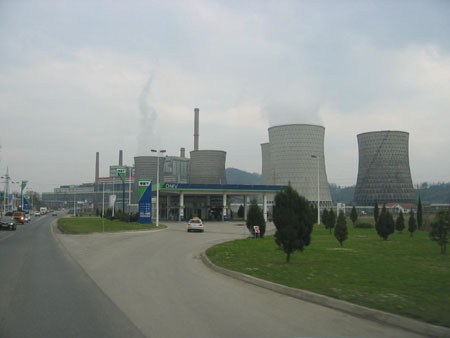 If you are coming from Sarajevo the first thing you notice upon arrivng at Tuzla is the hugh electricity plant. Furthermore a lot of industrial zones, most of them abandoned. The second thing we discovered where 'Mercator' signs. 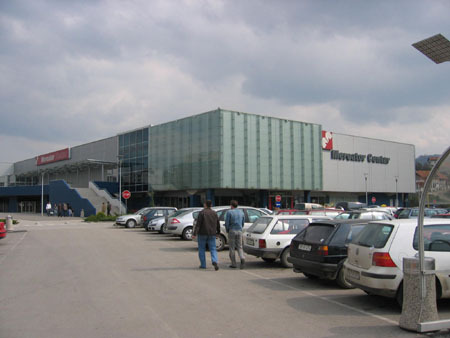 MercatorMercator is a hypermarket chain, in Belgrade we also have a big one but we did not expect this hypermarket in the center of Tuzla. We decided to buy our lunch at that Mercator and to our surprise the self service restaurant in the Mercator in Tuzla was better than the simple coffee outlet in Belgrade. In fact they do not have a complete restaurant in Belgrade but they should make one because the food was excellent and cheap. 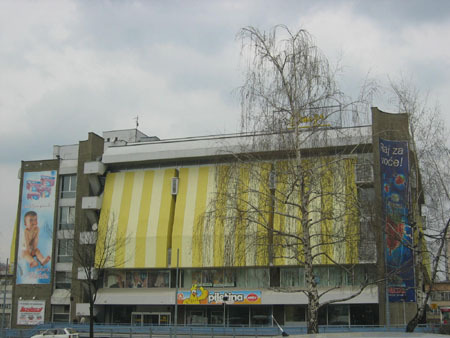 Anyhow, after our lunch we decided to go back to Belgrade instead of further exploring the city center. We wanted to arrive in Belgrade before dark without hurrying. 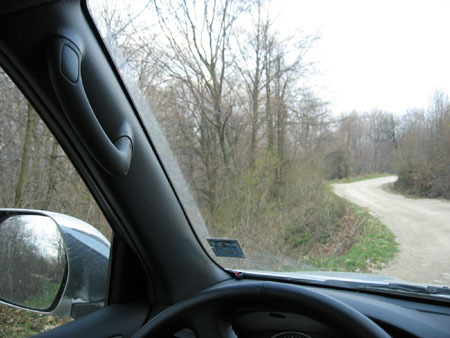 But soon after leaving Tuzla we took a wrong road leading into the hills. Our attempt was to reach Serbia directly via Biljejina, instead nothing but hills and soon no tarmac anymore. We tried to figure out our position but our 3 different maps couldn't help us much. The villages were too small to be mentioned on any of the maps and there were only a few signs mentioning other even smaller villages. After more than 1 our on gravel roads leading over the top of the hills we finally found another main road. Not the one we wanted, this one was leading to Zupanja, back in Croatia. But we took that road because we wanted to reach the real highway again. On our way to the Croation border we saw again many minefields, abandoned houses and shortly before the border some kind of shopping area which probably only works on weekdays to buy cheap goods in Bosnia Hercegovina. Before we left the country we spend our last local currency, I even found Tuzla beer to complete my regional beer journey. Not as nice as the other beers (a little bit light) but still good enough to drink.